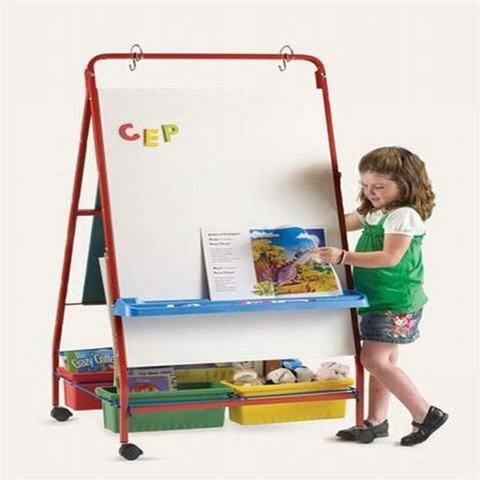 SKU: RC105 Category: Teaching Easels Brands: Copernicus. 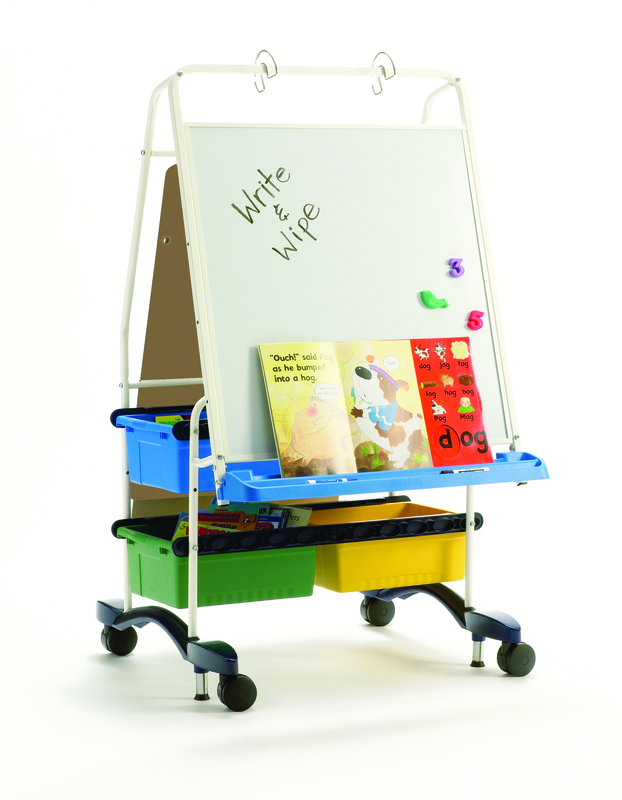 RC105 The award winning Royal® Reading Writing Center has been designed with many unique features and a modern style. 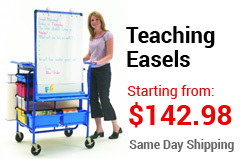 Helping you teach more efficiently while engaging your students, this teaching center is an essential teaching tool for all primary and junior classes. 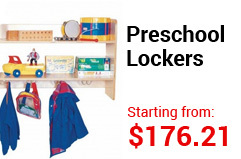 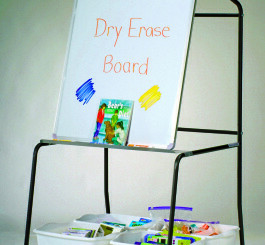 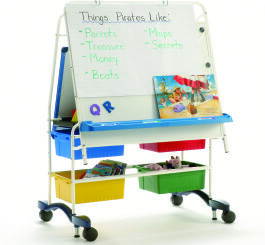 Key features: Four sliding Open Tubs with safety stops, Front magnetic dry erase surface, with a rear removable double-sided dry erase board (lined on one side), Ultra-Safe Premium Book Ledge that locks into multiple positions, Includes large middle shelf, Big Book racks, 2 Tiny Tubs, Snap-on chart paper hooks, and 2 Magnetic Page Paws, Four 3” casters, and 2 foot-activated brakes. 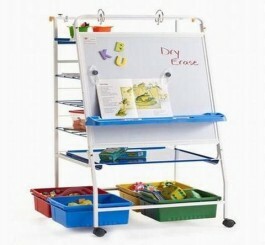 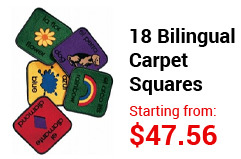 Technical specs: Frame Measures 31″(79cm) W x 32″(81cm) D x 56″(142cm) H, Front Magnetic Dry Erase Board Measures 29″(74cm) W x 29″(74cm) H, Rear Removable Magnetic Dry Erase Board Measures 24″(61cm) W x 36″(91cm) H, Open Tubs Measure 15″(38cm) L x 6″(15cm) D x 12″(30cm) W, Tiny Tubs Measure 3″(8cm) W x 4″(10cm) D x 5″(13cm) H, Lifetime Frame Warranty, Lifetime Tub Warranty.